Toronto, April 16: There’s still 19 months to go before Americans vote for their next president but both the Democrats and Republicans have begun work in full force for the US Presidential elections of 2020. 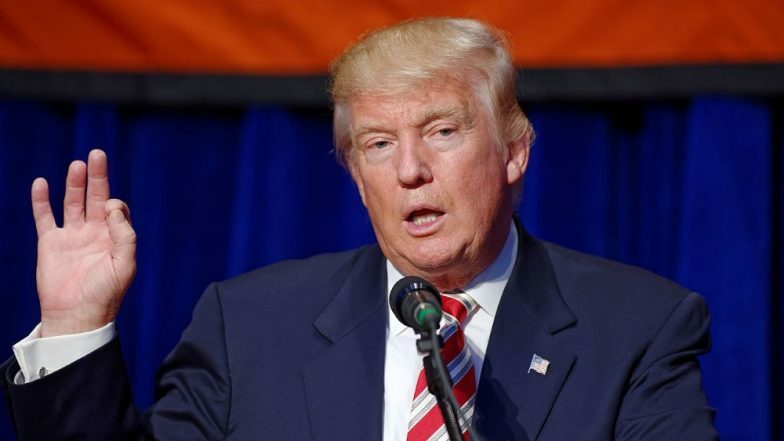 However, US President Donald Trump seems to be ahead in the race when it comes to funding as he has already received over US $30 million in donation in the first quarter of 2019. Trump’s funding is double of the top two of his Democratic rivals combined. The donation added to the existing funds brings the Trump campaign's cash-on-hand to $40.8 million, an unprecedented sum for an incumbent president this early in the game according to CNN. Trump's campaign has also merged its operations with the Republican National Committee. The RNC has separately raised $45.8 million during January-to-March 2019 and, together with Trump's campaign donations they now have US $82 million in available funds, the committee announced on Monday. Enthusiasm for President @realDonaldTrump is strong. Trump’s campaign also highlighted that support for the US President continues to come from his original voter base giving small donations. The campaign said that nearly 99% of donations were $200 or less, with an average contribution of $34.26. The RNC also revealed that Trump had drawn 1,00,000 new online donors this year. Meanwhile amongst his Democratic opponents, Vermont Senator Bernie Sanders leads fundraising with $18.2 million raised in 41 days. Coming second is California Senator Kamala Harris with $12 million and at third is Beto O'Rourke with $9.4 million. The 10 Democrats who have announced their candidature for the Democratic presidential nominee so far have collected a combined $79.6 million.